Effective Curriculum Design Planning: Arena, Blended, Connected. 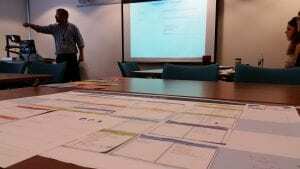 Planning is a vital part of the curriculum design process. In 1984, David A. Kolb published his experiential learning theory, which stated that the importance of learning enabled taking the new understanding and translating it into predictions as to what would happen next or what actions should be taken to refine or revise the way a task was to be handled. Providing advice for the planning of curriculum design is an integral part of the role of a learning technologist. It is also one of the most rewarding experiences because it involves working closely with subject matter experts. During planning meetings, discussions on modes of learning, structure and the use of learning technologies are at full flow. 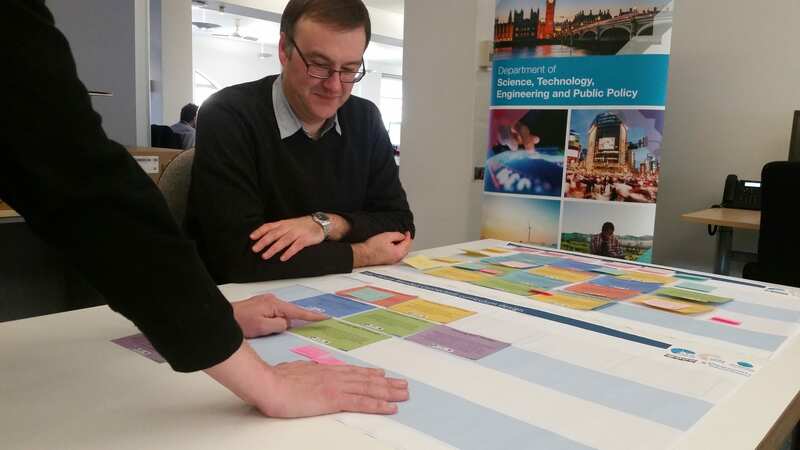 Last week, I worked with the Department of Science, Technology, Engineering and Public Policy (STEaPP)’s Head of Department, Dr Jason Blackstock, and Senior Teaching Fellow, David Wright, on digital content development for the department’s 2-week challenge for undergraduates, How to Change the World (HtCtW). At the start of the term, some staff in the department attended the ABC Curriculum Design Workshop delivered by Digital Education Team. We decided to use it as a framework for our planning of HtCtW. The two-week intensive programme uses a problem-based learning approach. It requires students to understand a complex global challenge and enables students to demonstrate a variety of their competencies (problem solving, creativity, communication and collaboration) to approach the issue. As part of our planning session, the programme leads laid out a series of learning activities on a chart and put them into different categories: knowledge acquisition, discussion, collaboration, practice and production. The simplicity of the model visually demonstrated the concentration on each type of activity through colour coding and highlighted misalignments in the learning cycle. We could easily see the types of learning content and technologies that will be required at the start, during and end of the programme. This finished plan is also a useful communication tool to explain the structure of the programme, learning objectives, assessment and feedback. The plan will be presented to the next meeting of cohort leads of HtCtW from across the Engineering faculty. Feedback from the staff on the usefulness of this model has been very positive. Although they were aware of the model, this is the first time they have used it to structure a programme. Everyone found it very easy to understand and apply. I have no doubt that this curriculum design model will be used again in the department and I look forward to learning more from using it by other colleagues. An exciting start of a new academic year! The Department of Science Technology Engineering and Public Policy (STEaPP) kicks off new academic year with ABC (Arena, Blended, Connected) Workshop, one of the panned activities to enhance the use of learning technology across our teaching programmes. In the department, our teaching philosophy is that the use of technology in the learning experience must be driven by pedagogical considerations, and not the demands and availability of the various technologies themselves. To enhance the use of learning technologies, we must first reflect upon curriculum design. With the support from the Digital Education Team, teaching staff from the MPA programme attended the ABC (Arena Blended Connected) curriculum design workshop. We used paper card-based approach in a style of storyboarding to assist participants to reflect on structure, modes of delivery, learning outcomes and assessment methods etc. 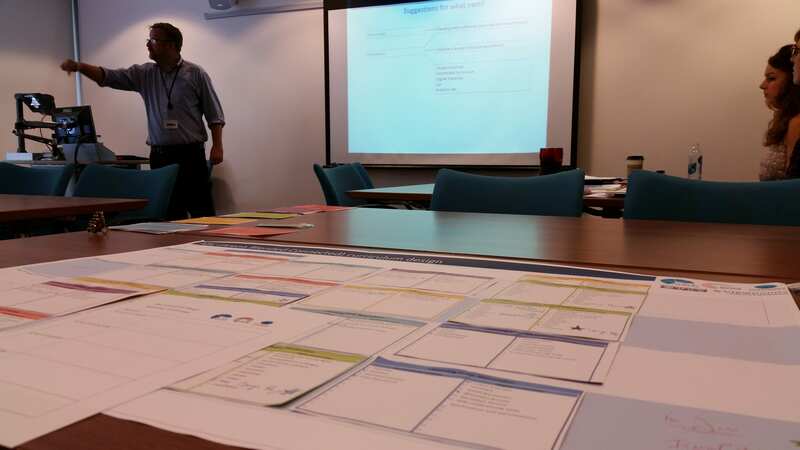 Our colleagues loved the simplicity of the approach and the effectiveness of the workshop model. Although learning technologies were not explicitly ‘called out’, it was firmly embedded in all six common types of learning activities during the exercise: acquisition inquiry, practice, production, discussion and collaboration. Following on the workshop, Dr Ann Thorpe (the department’s E-learning Champion) and I set up a series of meetings with individual module leaders to further explore the use of learning technologies in their teaching programm. We have been excited to see that the consideration of how technologies can enhance learning has already embedded in their design processes, for example producing videos as part of “Flipped Classroom”, streaming guest speakers to present and engage with students in classroom, and use of audio assessment feedback are some of the ideas currently developing following the workshop. While providing continuing support for the above mentioned activities, we’re also scheduling some bespoke workshops throughout the academic year. Since the department leads the organisation of How to Change the World (HtCtW) (part of UCL Global Citizenship Programme for undergraduate engineering students), we are interested to explore new ways in presenting engineering ideas during HtCtW. Augmented Reality (AR) has been identified as one of the emerging learning technologies over the past few years and the popularity of Pokemon Go have helped influence us to choose AR as our first lunchtime workshop topic. Watch this space for an update report soon. We built it, but would they come? Designing an online course in e-learning for UCL staff has its uncertainties, mostly to do with the big question, is anyone actually going to turn up? 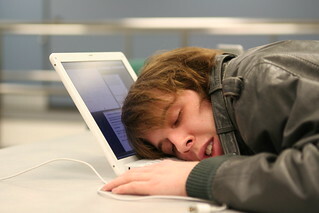 The pressures on staff at a research intensive University are multiple and intense. Everyone is juggling so many competing priorities, that taking the time to learn about teaching with technology may be an aspiration never fated to turn into a reality. We looked to the MOOC phenomenon for inspiration. If there is one thing MOOCs do well it’s publicity. They make the prospect of doing a course so easy and so enticing, that you can’t help but sign up. So we made our promo video and sat back and waited. We said to ourselves, if we get 30 people, that will be good, but of course, really we wanted more. It was with some relief, therefore, when the self-enrolments started to trickle through. We passed the 100 mark fairly early, but we weren’t quite at 200 a day or so before the course was due to start. Never fear, however, because the enrolments didn’t stop. Currently UCL Arena Digital has 214 participants, and people continue to sign up. Who were they and what were they doing? In addition to these figures, however, there were 15 people who came from different departments but who all had an affiliation with the UCL Institute of Child Health, and 23 people from the UCL Institute of Education. Honourable mentions too, to the Research Department of General Surgery, Institute of Ophthalmology, SELCS and IOE – Lifelong & Comparative Education, all with 5 representatives each. We had one person from UCL Australia. During the Unit, we invited participants to watch some video tutorials and explore resources in a Lesson activity and a Book (both ways of presenting content in Moodle). Then we asked people to share some media they use in their teaching on a Padlet (which is a great, easy tool that resembles putting post-it notes on a virtual pin board). There was a glossary for participants to contribute to, and a discussion to take part in, and a final webinar to share experiences on the Thursday of the second week. By Wednesday 18th March, the Using Multimedia: A Moodle Lesson activity had 1246 views (including 242 tutor views). The Going Further with Multimedia: A Moodle Book resource had 1465 (including 71 tutor views). The Wall of Media (the Padlet) had been viewed 64 times, The Language of the Media Glossary had been viewed 327 times, and the discussion forum “When can the use of media enhance teaching and learning” had 544 views. We were overjoyed at the enthusiasm of course participants. We have 16 entries in the Glossary now, spanning 5 pages, 34 posts on the Padlet Wall of Media, including some brilliant tutor-crafted screencasts and lots of great examples from participants’ teaching. The shared Practice space has been filling up too. That’s a blank Moodle course for participants to try out what they’ve learnt if they don’t have somewhere else to practice their skills. What is great about it, is that we can all see that learning has taken place, and it is an encouragement to everybody. Something else we learnt from MOOCs is that participation drops off sharply after the first week, and continues on a downward slope. It seems that everyone’s intention is good, and the enthusiasm can be sustained for so long, but, inevitably, all the other pressures of life get in the way once more. So, we thought, if we split the course into two week Units, with breaks in between, maybe that will keep people with us. And if you haven’t already enrolled, it means that you still can – and you have time to catch up before Unit 2 begins. So get ready for wikis, discussion forums, Twitter and more. If you ever thought of ditching the PowerPoint and doing something more interesting instead, then Unit 2 is for you. Enrol here and see you all again very soon. The winning bids for E-Learning Development Grants (ELDGs) 2014/15 have been selected.